Hardiplank is a common and attractive exterior siding product for many homes; however, it is required to be painted if not pre-coated with a ColorPlus Collection finish. Hardiplank is a common and attractive exterior siding product for many homes; however, it is required to be painted if not pre-coated with a ColorPlus Collection finish. James Hardie, the manufacturer, recommends that his factory PrimePlus system be used in conjunction with at least one top coat of 100 percent acrylic exterior paint. New installations must be painted within the first 180 days after installation, or the warranty can be voided. 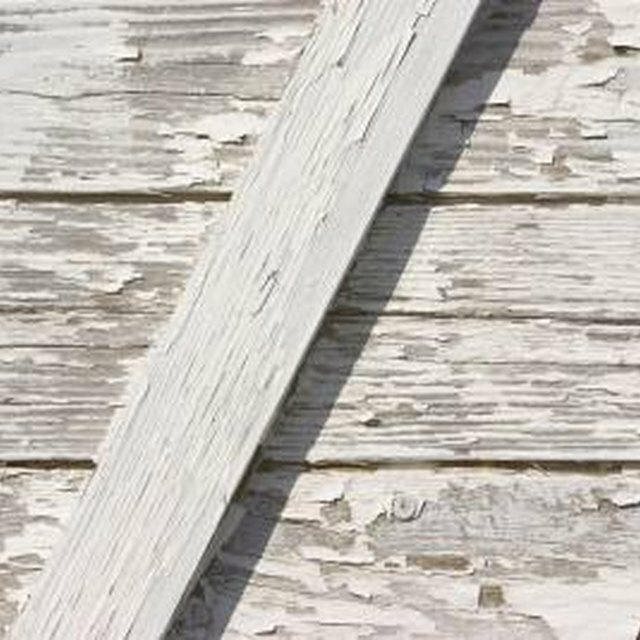 If you are considering Hardiplank, be prepared to either paint your siding yourself or pay a contractor to do it for you. Install, or have installed, the Hardiplank siding on the exterior of the home according to the manufacturer’s installation instructions. Ensure that all fasteners have been used correctly and that all flashing, or other water deterrents, are in place before painting. Caulk any edges or joints where the Hardiplank siding was cut on site for installation with a “permanently flexible” labeled caulking product. If these “clean” cuts are not caulked to seal out moisture, they will still have to be primed before painting (even if the siding came pre-primed). Also be sure to caulk as recommended in the manufacturer’s instructions around all doors, windows, eaves, and trim pieces. Use a ladder to reach higher areas. Prime the product if it did not come from the manufacturer pre-primed. The use of an alkali-resistant primer is recommended. Apply the primer with a brush and roller to all unprimed exterior Hardiplank siding as well as to the trim. Do not “thin” the primer to make it “go farther,” doing so will defeat the purpose of the primer which is to protect and seal the siding. Allow time for the primer to dry completely. Apply the exterior siding paint. Use a brush to apply the paint to the bottom of the piece of siding, along any trim pieces, and under the top lap. Then paint the face of the siding with a brush or roller. (Note that the use of a brush is preferred; however, a paint sprayer can be used if you "back-roll" the wet paint with a roller to ensure a good coating and/or apply two coats of paint. Paint the installed Hardiplank trim with a brush. Dip the brush into the paint, and cut the trim into the siding. Then apply the paint to the face of the trim with a brush or roller. Check that all siding has been thoroughly covered with paint. Touch up any areas that may have been missed or where the color does not look solid. The manufacturer provides a list of recommended paint products. Refer to the paint manufacturer’s instructions for coverage rates. Hire a local painter for larger jobs. Do not use high-pressure water blasters to clean Hardiplank. Do not paint if it is less than 50 degrees Fahrenheit; paint will not adhere well. Do not paint when wet; it can cause efflorescence. Do not spray on a windy day. The manufacturer provides a list of recommended paint products. Refer to the paint manufacturer's instructions for coverage rates. Hire a local painter for larger jobs. Do not use high-pressure water blasters to clean Hardiplank. Do not paint if it is less than 50 degrees Fahrenheit; paint will not adhere well. Do not paint when wet; it can cause efflorescence. How Long Do Ball Canning Lids Last?